Served in Co. A, 14th N.H. Vols and was killed at the Battle of Winchester, 1864. The Noyes Descendants, Vol. I says 1836. [S65] Book-Noyes-The Noyes Descendants, Vol. I, p.240. 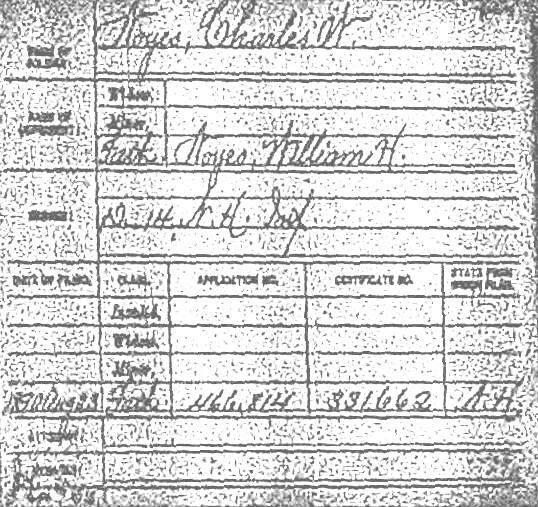 [S4240] Internet-Civil War Soldier Records and Profiles, Register of Soldiers and Sailors of New HAmpshire (1861-65). [S65] Book-Noyes-The Noyes Descendants, Vol. I, p.239. [S299] Book-VR Newburyport, MA, 2:346.